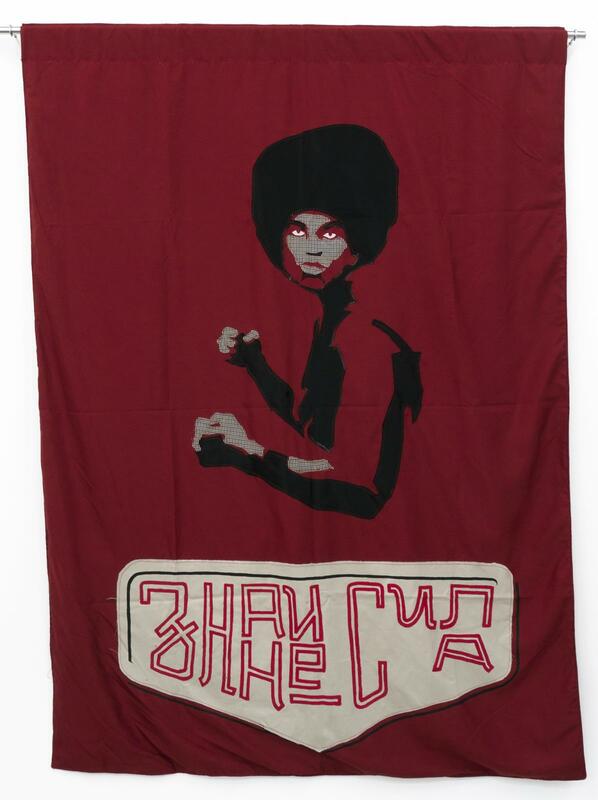 Chto Delat, Hunger, Anger, Joy, from the series Learning Flags, 2011, mixed textiles (sewed), vinyl paint, photo courtesy Chto Delat and KOW, Berlin. The collective Chto Delat (What is to be done?) was founded in 2003 by artists, writers, art critics, and philosophers from Saint Petersburg, Moscow, and Nizhny Novgorod. The group earned an international reputation by making political use of the possibilities offered by the global art circuit. In its political theory and practice, Chto Delat often employs artistic competence, introducing aesthetics into other fields of reality (see: cross-pollination), such as publishing a theoretical magazine, organizing political happenings, designing workers’ culture clubs, or producing propaganda video-songs. Members of the collective actively participate in initiatives aimed at the political mobilization of workers from the art sector, for example co-creating the international platform ArtLeaks, patterned on the famous WikiLeaks. In 2011, Nikolay Oleynikov and other artists from Chto Delat organized the May Congress of the Creative Workers’ Union in Moscow. In this context, Oleynikov designed a series of Learning Flags which were used as banners at demonstrations organized during the congress. More flags were created for subsequent editions of the congress and later presented at various exhibitions. Initially they operated under the principle of double ontology, as both art objects and elements of street protests. The group utilizes the high coefficient of visibility, granted by artistic circulation, in order to promote their message. Yet the flags still convey their original use – as banners with a high coefficient of art waved at rallies to commemorate significant figures in the history of progressive thought and practice. 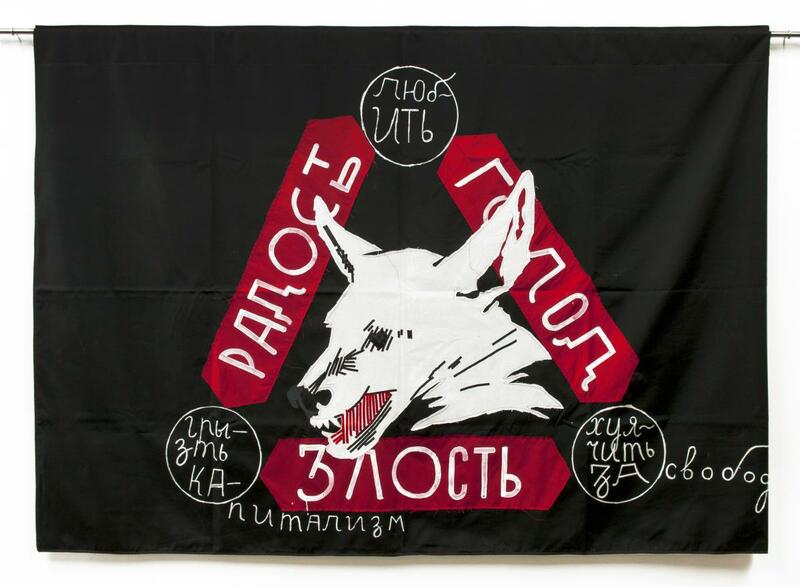 The report presented in exhibition consists of the three flags and artistic works Knowledge is Power, Stay rude (Chernyshevsky), and Hunger, Anger, Joy (all 2011), loaned to the Museum of Modern Art in Warsaw for the duration of the exhibition. Courtesy Chto Delat and KOW, Berlin. Knowledge Is Power, from the series Learning Flags, 2011, mixed textiles (sewed), vinyl paint, photo courtesy Chto Delat and KOW, Berlin.